) | season = 2018–19 | president = Minas Lysandrou | most successful club = Olympiacos (44 titles) | most_appearances = Mimis Domazos (536) | top goalscorer = Thomas Mavros (260 goals) | tv = Nova Sports and ERT (live matches) | website = superleaguegreece.net | current = 2018–19 Super League Greece }} The Super League Greece (Greek: Ελληνική Σούπερ Λίγκα) or Super League Souroti for sponsorship reasons, is the highest professional football league in Greece. 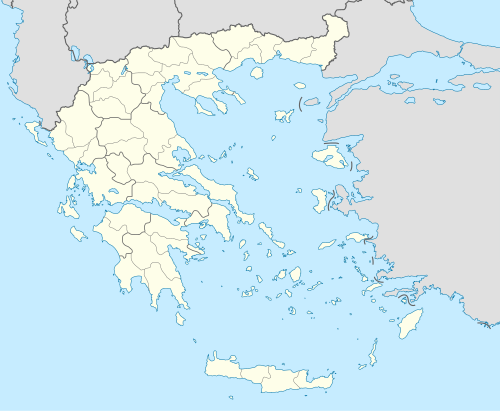 It was formed on 16 July 2006 and replaced Alpha Ethniki at the top of the Greek football league system. The league consists of 16 teams and runs from August to May, with teams playing 30 games each. As of August 2017, Super League Greece is ranked 14th in the UEFA ranking of leagues, based on performances in European competitions over the last five years.